We had another joyful Sunday at MLLC. We welcomed Kannon, the son of Tanner and Brittany. 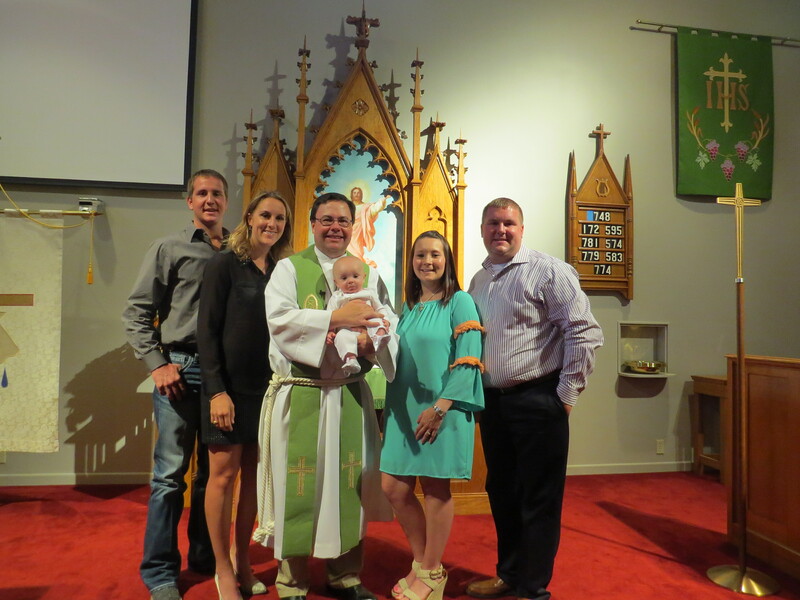 Kannon was joined to the saving work of Jesus Christ through the Sacrament of Holy Baptism on Sunday, August 24, 2014 at our 9 a.m. worship service. When a person is baptized at MLLC he or she also joins the congregation. We rejoice in God’s grace which has been brought into Kannon’s life through this sacrament. See more about this baptism and our other new members at MLLC on our New Member page – click this link.